A relationship with your Ancestors goes beyond just honoring them on Samhain (Halloween). Our Ancestors are an integral part of who we are whether we are consciously aware of it or not. You can deepen your relationship with them by connecting with their spiritual energy as often as you'd like - not just once a year on October 31st! Honor them everyday. Honor them for their strengths, trials, and tribulations. Remember that they were people too. They lived. They are not so different from us. Even though technological and geographical changes may be apparent, the human soul is still the same, no matter the passage of time. Your Ancestors want you to win! They want you to succeed and for your soul to grow. Give them thanks for the blessings they send your way and the lessons that come to us through challenges. Ask them for strength and courage. To share their wisdom and guidance with you. • Drawing a family tree is a great way to connect with your family and to teach younger generations (as well as yourself), about your family history. 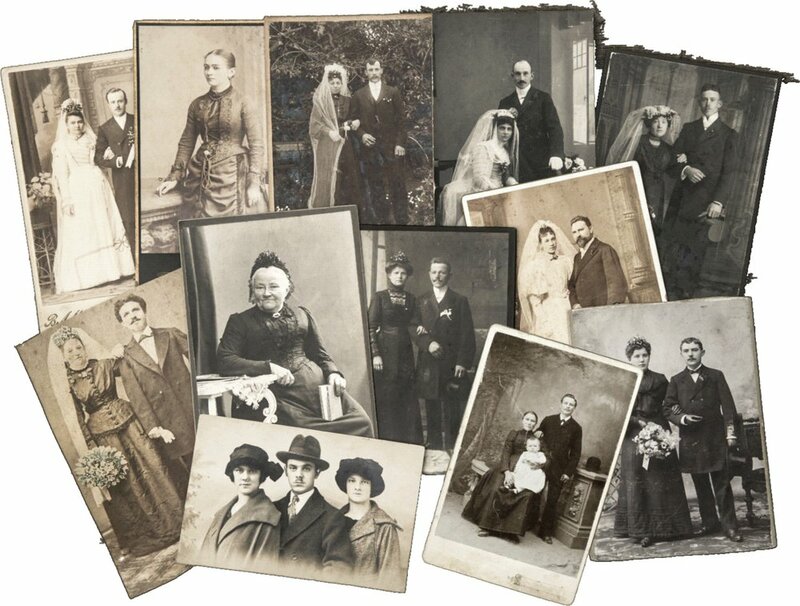 Genealogy or Ancestry websites are also great places to start. Connect with your heritage by slowly learning about the country, culture, and it's people. • Try learning their divination practice, like Runes, Kipper, I Ching, bone sets, cowrie shell divination, and scrying just to name a few! Ask them for help and to guide you in your learning. This may even be a great way of communicating with them (perhaps even their preferred method) and is a great way to strengthen bonds. • Take a trip to reconnect with your heritage - Norway, Tibet, France, Russia, Africa, Jamaica, England, Brazil, Mexico. What feelings do you get when you go there? Try the cultural foods. Step out of your comfort zone a bit. How does the air feel, the scenery look? How is the vibration of this place different from where you currently reside - how does your soul feel here? While there, try to visit places of historical importance like churches, battlegrounds, sacred sites, etc. Embrace and immerse yourself in the atmosphere of your Ancestors. • If you can't physically go there, try doing so in meditation! Take a step back in time. Ask them to show you their lives or their favorite places. Crystals and stones such as petrified wood, garnet, picture jasper, black kyanite, nuumite, and rose quartz are also great to work with when connecting to your ancestry (and past lives as well). • Always give them thanks - especially when connecting to the Spirit world whether that be through divination methods or other means like mediumship. You may feel their presence more closely and hear them more clearly during the month of October as the veil begins to thin even further! Of course the most significant day for this is Samhain. • Rose oil, incense, flowers, tobacco, alcohol - what did they love? Did your grandfather smoke cigars? Buy his favorite and burn it as an offering to him. Did your distant aunt love chrysanthemums? Plant some in remembrance of her. Did your mother love rose oil? Wear some when you want to connect with her more deeply. Did your great great grandmother have a special cookie recipe? Make them in honor of her. • Use the special baby blanket or delicately dainty table cloth that was made for you. Pull out the old family photo album. Make tea with the intricately decorated tea set that belonged to your grandmother's, grandmother's, grandmother and has been collecting dust in the china cabinet for years. You can even make a special meal and leave a place at the table for them during celebrations. Perhaps their birthday or an anniversary? What does your intuition tell you to use? Connect with your Ancestors in meditation! Listen to what they tell you.